In October of 2005, while ministering in the country of Honduras, Harold Eatmon released the prophetic word God spoke to him over this nation. 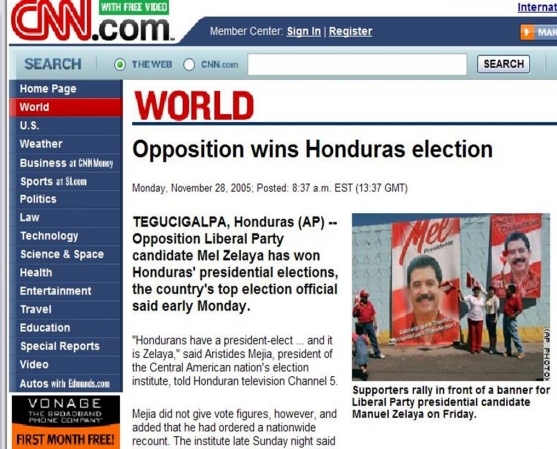 On October 30, 2005, the prophecy was released naming Manuel “Mel” Zelaya as the next president of Honduras. 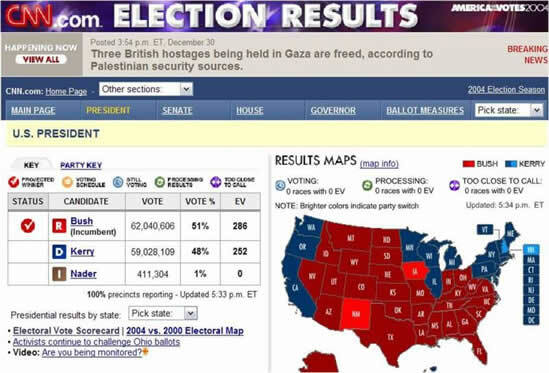 The presidential election was held on November 27, 2005, and on December 8, 2005, the prophecy was fulfilled when Mel Zelaya was officially declared President-elect of the nation of Honduras. The three video clips that follow captured the prophecy live as it was spoken. God is going to touch the new president of this nation [Honduras]. Hallelujah. Hallelujah. Yesterday, I was talking with the pastors, Pastor José and Pastor Norea. And as we were talking, we were believing God for this country. And what God would do. And how God would minister. And how God would speak. And God began to talk. And so I said to them, God has spoken to us [Harold and Betty] before we’ve come to this nation about the president of this country. I’ve been in other countries and have prophesied years before — in advance — sometimes three years before God picks [reveals] the next president because Christian people pray. I want to say something to you. God is speaking to this nation. And I believe I know who your next president is. And I believe that God is working it out right now. Right now some of you are going to be surprised [by] what God is getting ready to do because some of you have got your own idea. You may be shocked! You may be surprised [by] what God will do. And in a moment, God gives me a Word and I just share what the Lord says to me. So I’m not advocating any political team here. Not at all. But I can tell you something. I’m not for teams or a political party. I don’t care about that. I care about the men, their families, and the will of God for their lives. That’s all that I care about. (Harold then walks over to a whiteboard on the stage, draws a rectangle, and then writes the letters “MEL” inside of it.) This is what the Lord showed me.